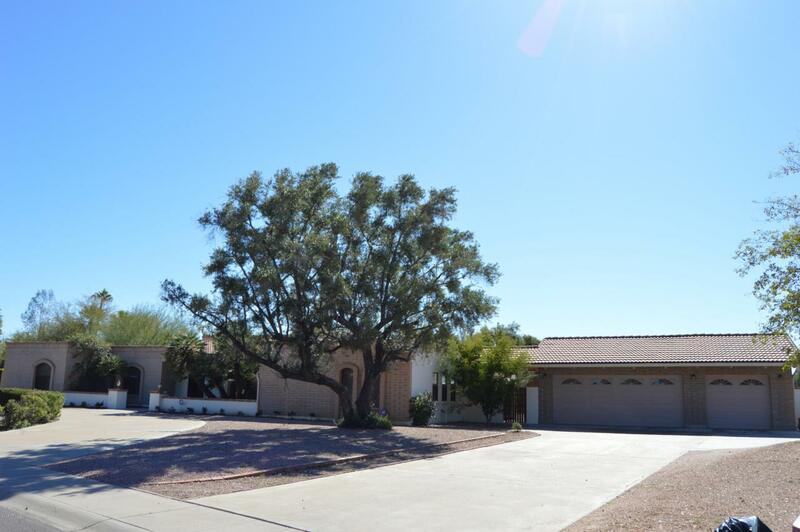 Over an acre lot with a large, yet cozy, home awaits a new owner. The home has five bedrooms plus two large offices providing a maximum amount of flexibility. The family room, kitchen, and living room are all spacious yet very inviting and comfortable. There is a lot of storage space throughout the home. A four-car garage is a big plus. The back patio features a very nice built-in barbeque and would be ideal for entertaining. The rear yard features a pool and a mix of landscaping including a secluded park like area. The rear yard has so much space your imagination can have free reign here. The property is perfectly situated near shopping and entertainment venues.